When I arrived at the Marolles flea market in Brussels yesterday, the market was about to close. And then it suddenly also started to rain. Big disappointment. Nevertheless, I quickly went through a few boxes, while the seller constantly shouted:” DEUX PIÈCES – UN EURO! DEUX PIÈCES – UN EURO!” Watching all his stuff getting soaked in the rain and the people leaving, he was getting more and more desperate. Surprisingly, I got a dozen 45s for a price way below 50 cents a piece. Belgian budget label Kraftone was a short-lived offshoot of the Kraft Foods group. 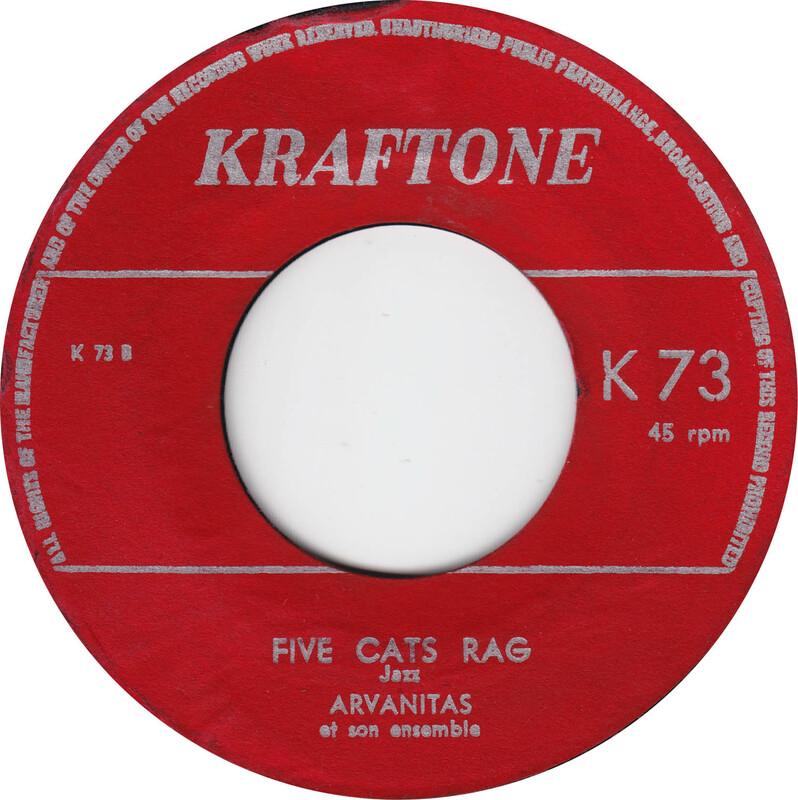 Five Cats Rag is not credited to any songwriters, so I assume it is an original by French jazz pianist George Arvanitas. 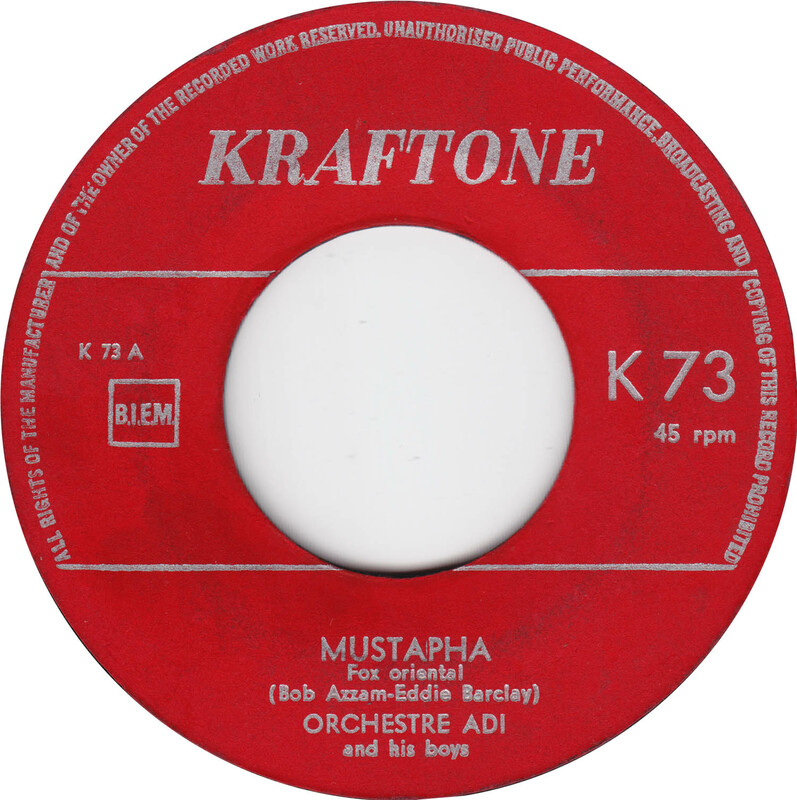 Bob Azzam´s original hit version Ya Mustafa was released in 1960, so this is likely from the same year.